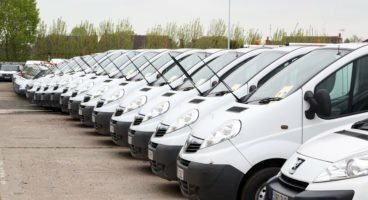 “Will 2019 be the year of the used van?” is one of the key questions being posed at the next meeting of the Vehicle Remarketing Association, taking place on 21st September at Manheim in Bruntingthorpe. Key presentations will be made by James Davis of Manheim, looking at the prospects of used light commercial vehicles in the year ahead; by Karl Davis of Coachworks Consulting on the latest trends in dealer best practice; and Rupert Pontin of Cazana on the current state of the used market in the UK. Glenn Sturley, chair at the VRA, said: “There has been extensive talk about 2018 being the year of the used car, with very favourable market conditions in place – and there are signs that next year may be similarly successful for vans. Glenn said that the members were also looking forward to hearing about the latest in dealer thinking from Karl Davis at Coachworks Consulting. “The VRA has been attracting more dealer members of late and there is definite interest in new ideas around the retailing of new cars and vans, as well as wider dealer best practice. Glenn added that the open discussions that took place following the formal presentations at VRA member meetings were often as useful as the presentations themselves.